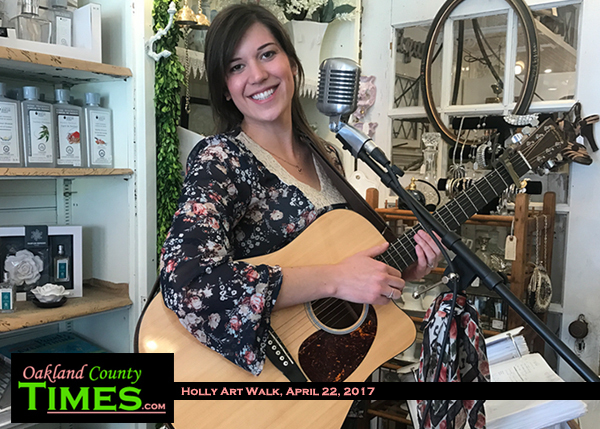 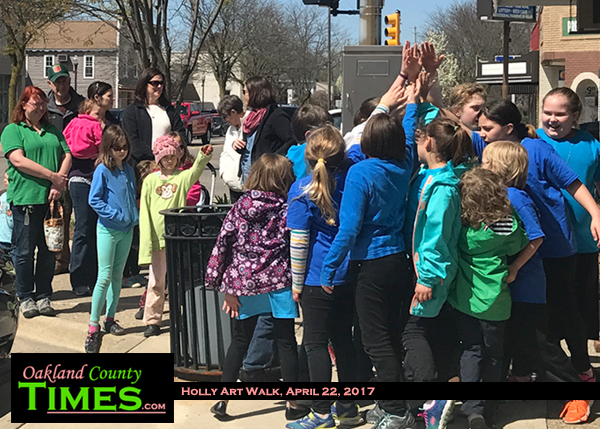 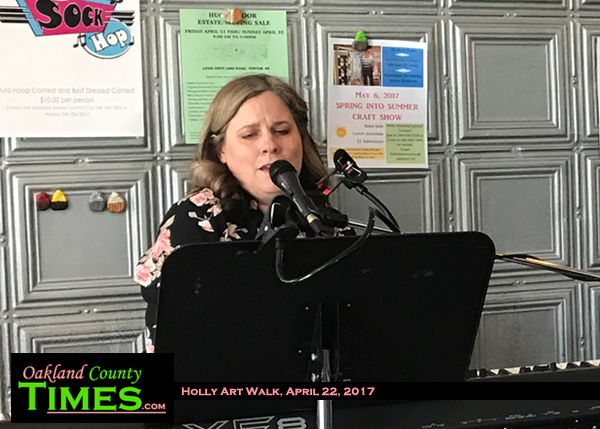 Holly, MI – Visitors to Downtown Holly stores and restaurants Saturday got some bonus inspiration Saturday as over a dozen businesses hosted artists and musicians for the community’s first Art Walk. 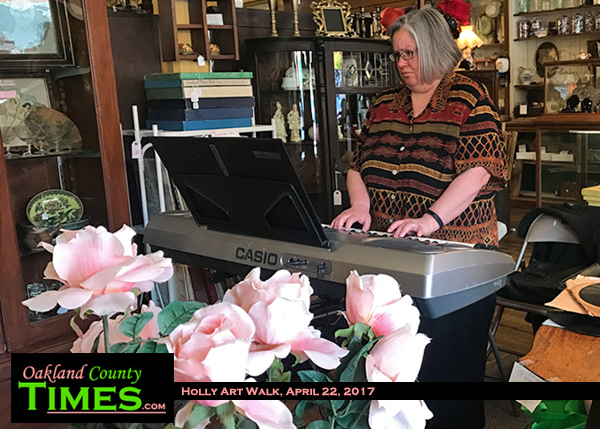 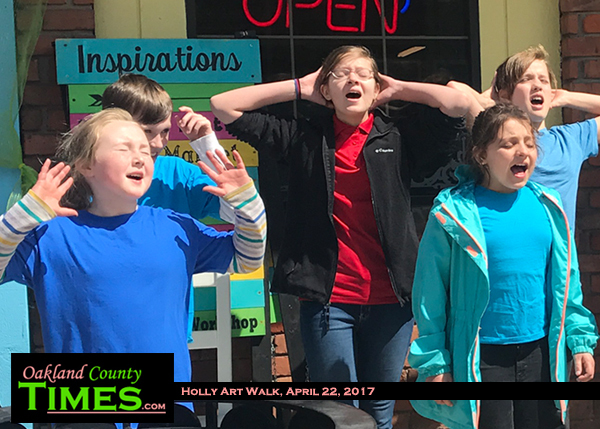 The event, organized by the Holly Area Arts Council, had the creative guests inside each business to draw people in, as well as some outside performances. 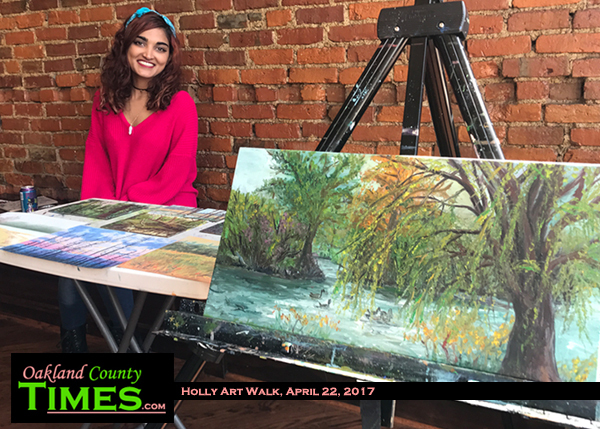 Archana Venkataramani, a painter from Lake Orion, greeted visitors to the Blackthorn Pub. 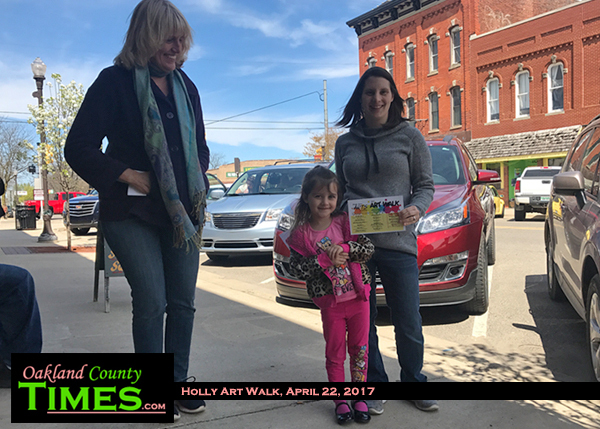 Her paintings featured landscapes from all around Metro Detroit including Bell Isle, Cranbrook and Bald Mountain. 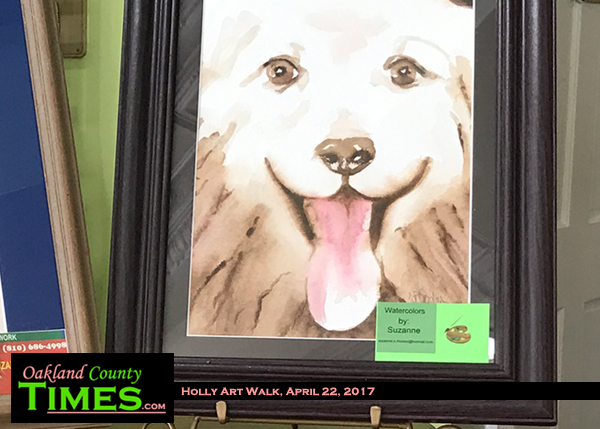 Watercolor artist James Connor also had religious inspiration for his work. 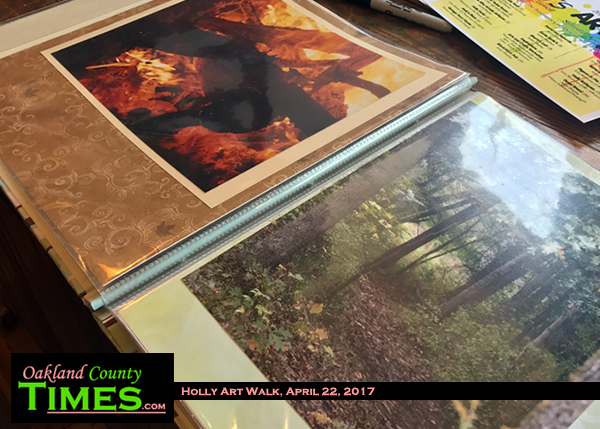 His watercolor painting of Jesus with a thorny crown sells worldwide. 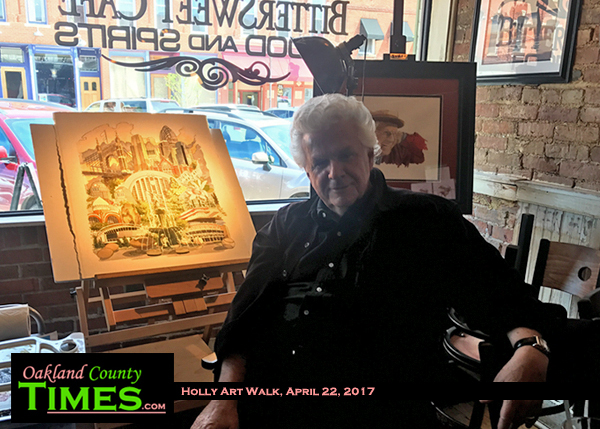 He also paints collage-like pictures of cities. 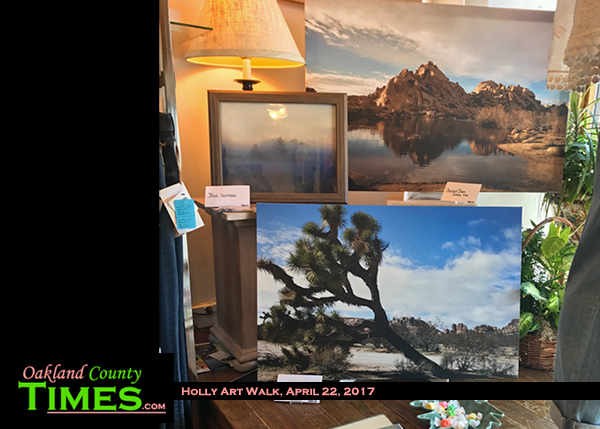 Connor owns a gallery in Grand Blanc where he produces art at a variety of price points – from $2 notecards to large commissioned watercorlors for cities and universities. 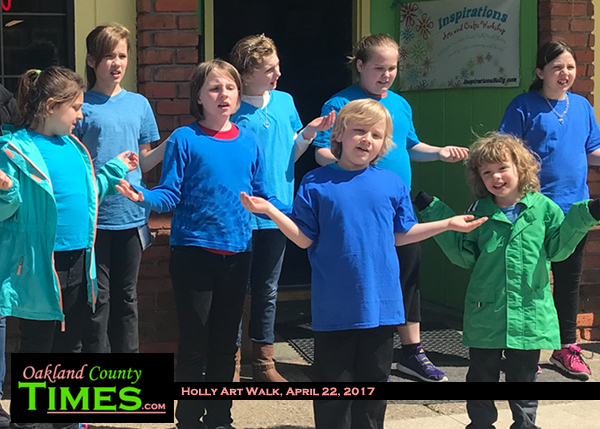 The day also featured live musicians and performances by youth at Inspirations Arts and Crafts Workshop and the Holly Middle School Jazz Band at The Holly Vault. 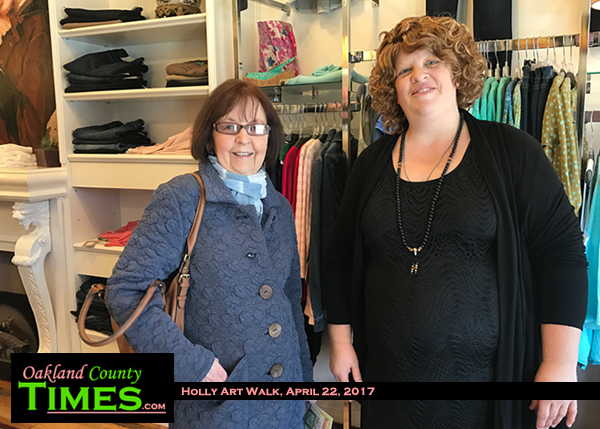 Participating businesses included Holly Vault, Holly Antiques, Past Tense Books, Battle Alley Arcade Antiques, Holly Hotel, Andy’s Place, Vintage Farm House, David Lee Naturals, Zanie Janie’s, Marta’s Loft, Inspirations Arts and Crafts Workshop, Blackthorn Pub, Cupcakes and Kisses, Bittersweet Cafe, Pigeon in the Parlor and Good Wood. 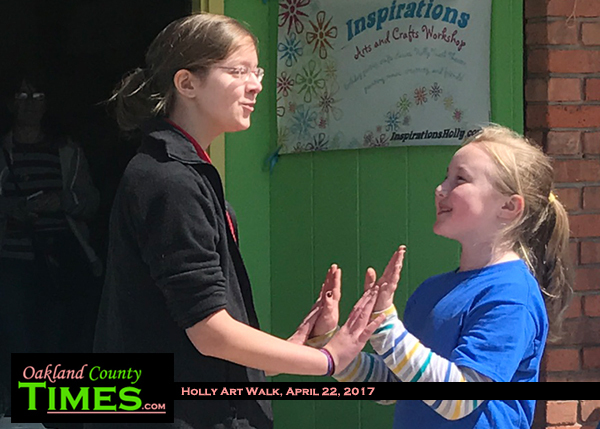 Want to learn about events through Oakland County? 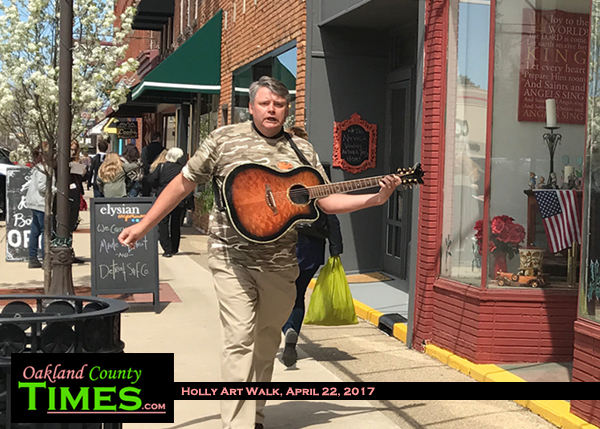 Sign up for Daily Headlines or check out our Event Page.